i'm gonna start this off with a disclaimer. 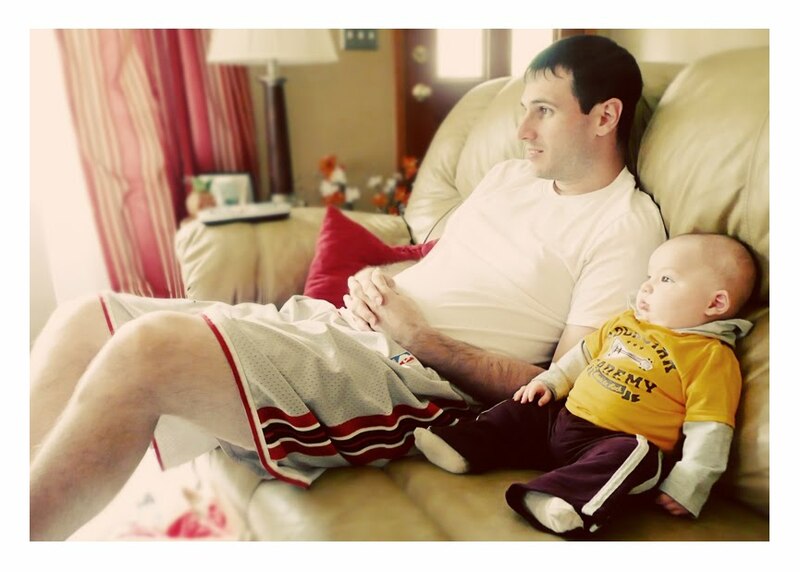 we don't really prop our baby up on the couch & let him just sit & watch tv... that often. i had just put parker down for a second before sitting & feeding him, but this father/son football watching moment was just too cute not to capture. or too pathetic. really parker? this engrossed in sports already? looks like he's already well on his way to becoming sam's best football watching buddy. ah well, what are sons for, right? and yes. despite the belly on that baby, he still needs his meals. what can i say... the kid likes to eat. ...but today i might have to make an exception. why do i get the feeling i was being seduced? i shouted for sam to come see, who was equally stunned. 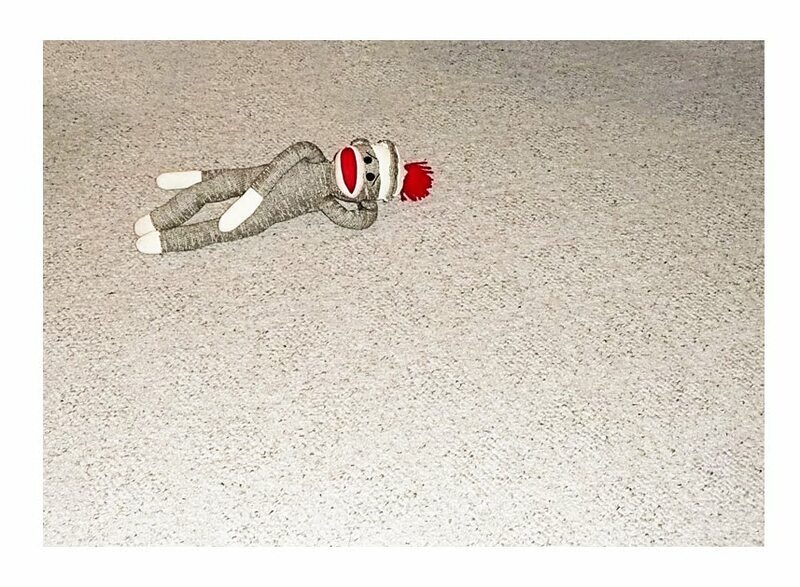 i quickly picked sock monkey up & put him back in the nursery, but needless to say it's been a little awkward between us all day. & can i let you in on a little secret? i like it when restaurants mess up my order. 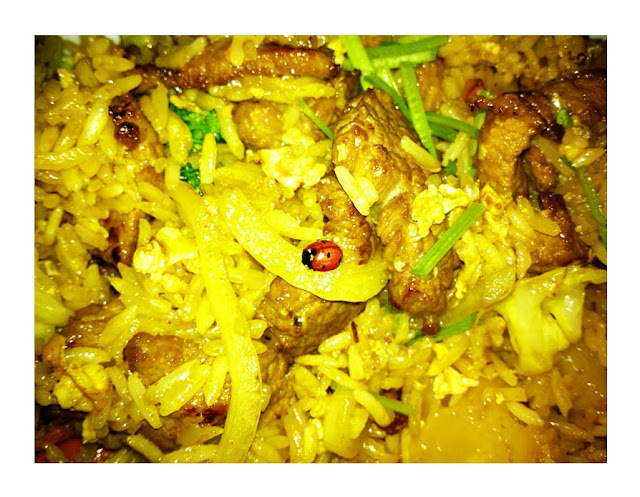 yes, even when i find dead (cooked) lady bugs in my food. this happened. i like getting a free meal on account of the restaurant's mistake. granted, now it means i have to scratch this particular thai restaurant off my list of places i frequent, but hey, a free meal is sometimes worth discovering a bug nestled in your plate after you've had a few bites. oh c'mon. it's not that gross. clearly she was cooked & sterilized. people eat bugs all the time. & last night sam & i had a lovely dinner at the olive garden. after bringing our meals out all mixed up, we got to pick a dessert to take home - on the house. score: nielsons -1, olive garden - 0.
why do things taste so much better when they're free? & unexpected? or when they're layers of chocolate cake & chocolate cheesecake smothered in a creamy chocolate ganache & sprinkled with dark chocolate shavings? oh yeah, that whole thing about losing the baby weight & getting back in shape... that's what mondays are for. have you voted for us in top baby blogs today? we're totally in the top 100 now. fist pump! According to unspoken Thai rule, ladybug in food = $1 discount. Yeah Ben I shoulda mentioned how at first they only gave me a 10% discount which translated into $1. I wasn't having it tho. Sometimes a free meal takes a little bit of confrontation to get, but it's always worth it. hahahahaha this whole post is awesome!! and a ladybug in your food? Really? How did that even happen and how was it NOT seen by the waiter?!?! hahaha so funny. Hi Amy, found you on Top Baby Blogs. Looking forward to reading! Love, love the picture of Parker and Sam! You can never start too early. While other little boys were watching cartoons, my boys would watch Sportscenter! Oh the boys watching football....so cute! I have a feeling Parker might have put sock monkey up to it....insert picture of Parker laughing with his hand on Sock monkey's shoulder. hahaha so funny! you are my kinda funny girl! That is the cutest pic of your hubby and son.. I found you from the Sept blog a thon! LOVE the football pic! looks like sam is teaching him well. Can't wait to meet the little guy! When are you guys coming cross state next?